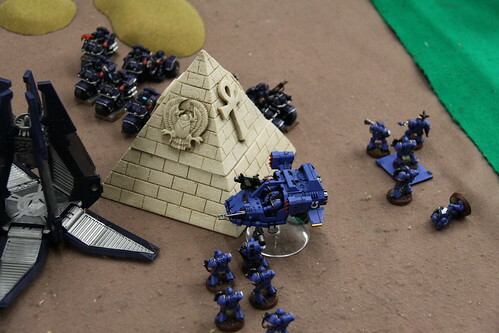 2 Response to "Playing: Top Tournament Armies in 40k"
You know, you could probably factor in the generals with the armies, you have ELO ratings for everyone. It would change the results, since some people like me and Ryan play different books in different tournaments. Also, you keep track of the army lists that people bring, and what missions - do you keep a database of what armies played what in each mission and what the result was? You could make this pretty detailed and interesting with that information. I do have all that info Mike. Most of that is actually published on the tourney result pages except for maybe the first one we ran in February. It would be cool to consolidate that data into some useful information though. Completely agree with you there. Question is? What data do I use and how do I filter it into something meaningful?